We are a leading Manufacturer of ms tee from Mumbai, India. As a reputed firm, we are devotedly engaged in offering a comprehensive range of MS Tee. 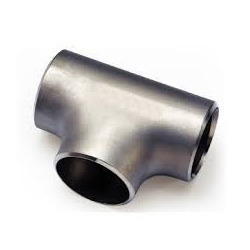 These MS Tee are manufactured using superior quality steel and the latest technology under the observation of our competent MS Tee. Our quality experts inspect the offered MS Tee as per marker norms. Moreover, these MS Tee are easily available to our clients at market leading rates. Note : Price range may vary from Rs 30-50000 per piece as per size variations . Looking for MS Tee ?